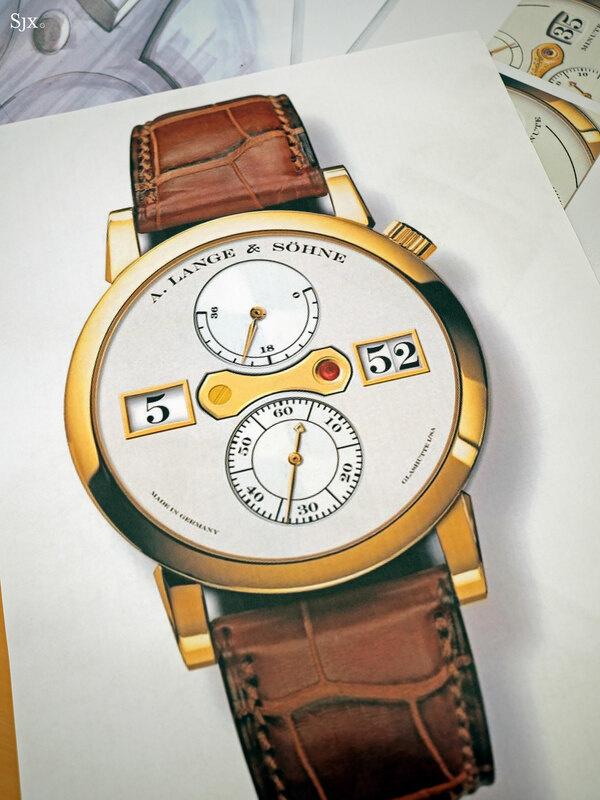 While many of its wristwatches are more complicated, and some more historically important, the holy trinity of A. Lange & Söhne when it comes to design are undoubtedly the Lange 1, Datograph and Zeitwerk. 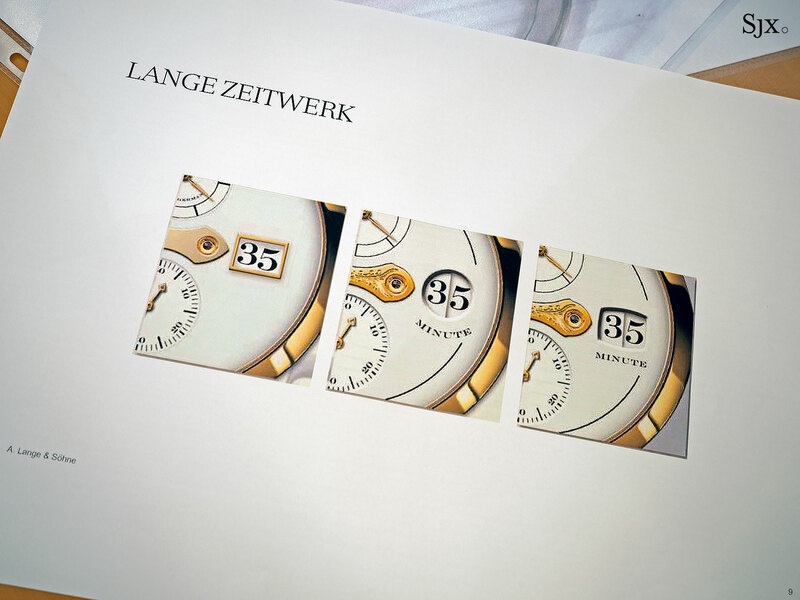 Still the only mechanical watch to display the time digitally and horizontally, the Zeitwerk is notable for coming relatively late into Lange’s existence. 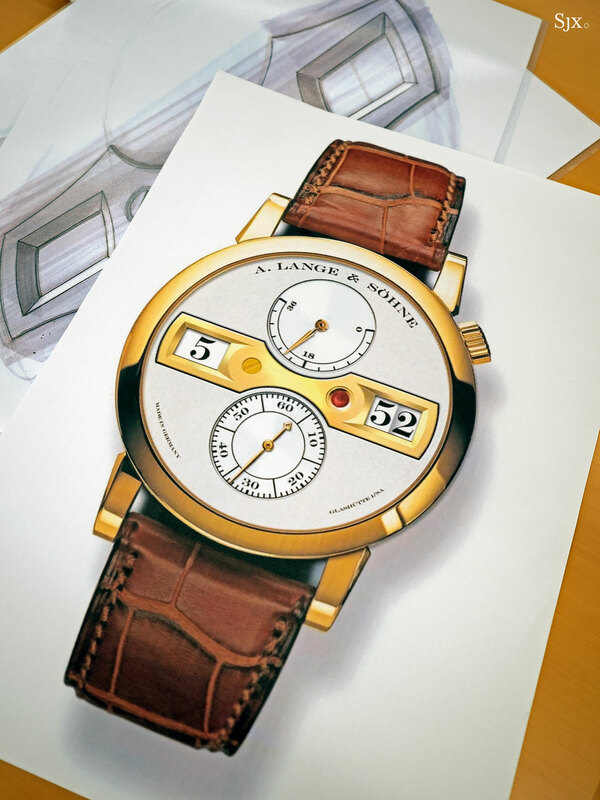 While the Lange 1 was presented in 1994 as part of the company’s inaugural line-up, and the Datograph in 1999 – both during the formative years of the company – the Zeitwerk was only introduced in 2009. 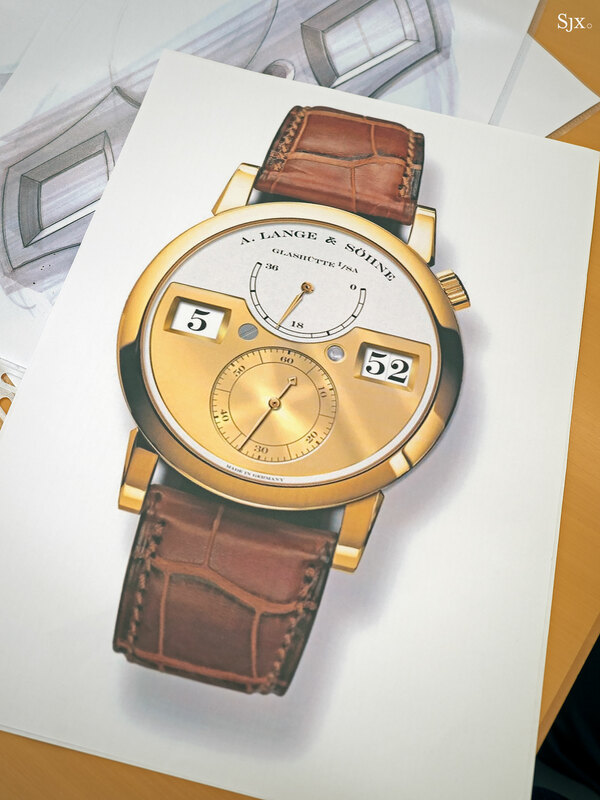 I spoke with Anthony de Haas, Lange’s Product Development Director, earlier in the year for a series of stories on watch design at the company. 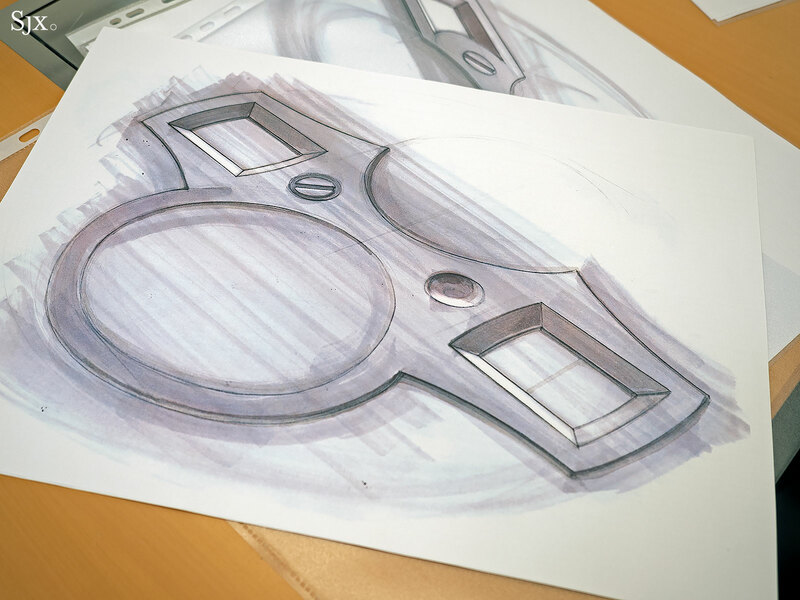 While most of the discussion covered design in general, a gem emerged when Mr de Haas explained the origins of the Zeitwerk, complete with early drawings and concepts. Here’s Mr de Haas explaining the origins of the Zeitwerk, with the text condensed and edited for clarity. “I joined Lange in 2004. Before that I was at IWC in the 1990s for three years. Blümlein lived in Schaffhausen, it was his headquarters. So the designers of IWC and Lange worked together in one building; the case designer then was from IWC. The marketing department was in a building next to IWC, and then in 2004 we decided to bring them over here [to Glashütte]. In 1998, I joined Renaud & Papi. When I left IWC, Gunter Blümlein wanted to know why I resigned, he wanted me to join Lange. But I already signed the contract with Renaud & Papi. Blümlein passed away in 2001. That year, Renaud & Papi worked on a project for Lange; I was the project manager because I was one of the few who could speak German. It was the Tourbograph. 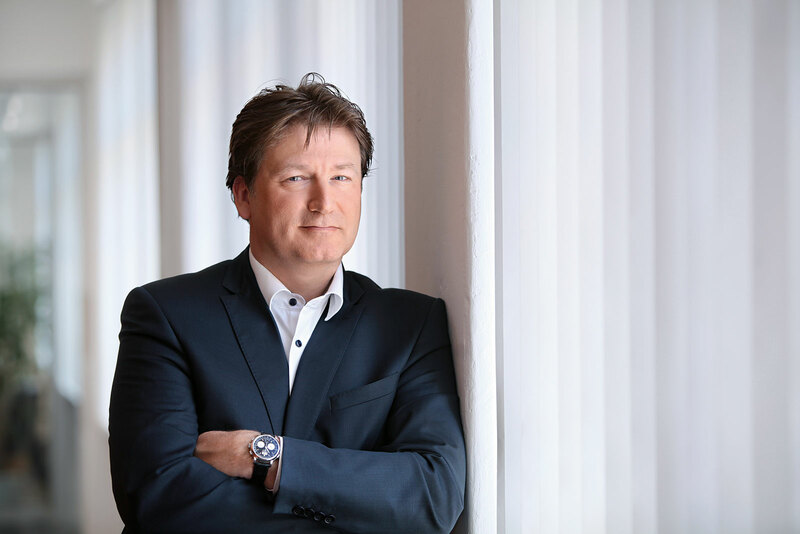 In 2001, I came to Glashütte for the project and Reinhard Meis was responsible for the development. Lange has a history in fine watchmaking tradition, but Blümlein knew that if you wanted to revive a brand that only made pocket watches in the past, you don’t stand a chance. He paid attention to everything. Ninety percent of everything came from him, the lugs, the case, the fonts and even the guest toilets. He had a good team around him but he gave the right impulses, as he had done so at IWC and Jaeger-LeCoultre. Blümlein had the idea of doing a digital watch. This is sketch from him, shortly before his death. I think it was 2001. It was then kept in the drawer. 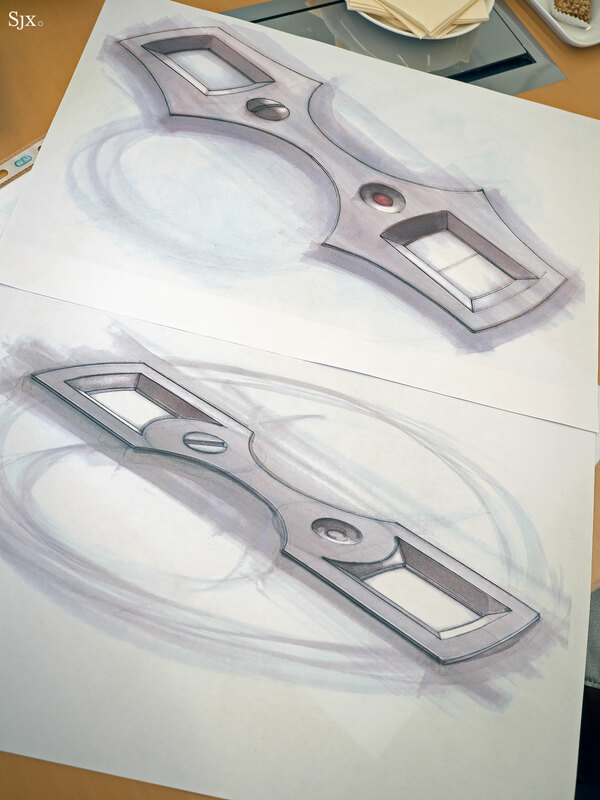 The sketch was a face every brand had so it wasn’t so unique. And there was a big issue with the discs. It was a challenge because discs are huge and way heavier than hands. The rest, as they say, is history. Lange commenced development of the cal. 043.1 in 2004, the year Mr de Haas joined the company. Naturally, as with the signature Lange big date, the disc display of the Zeitwerk took its cues from the five-minute clock inside Dresden’s Semper Opera house. 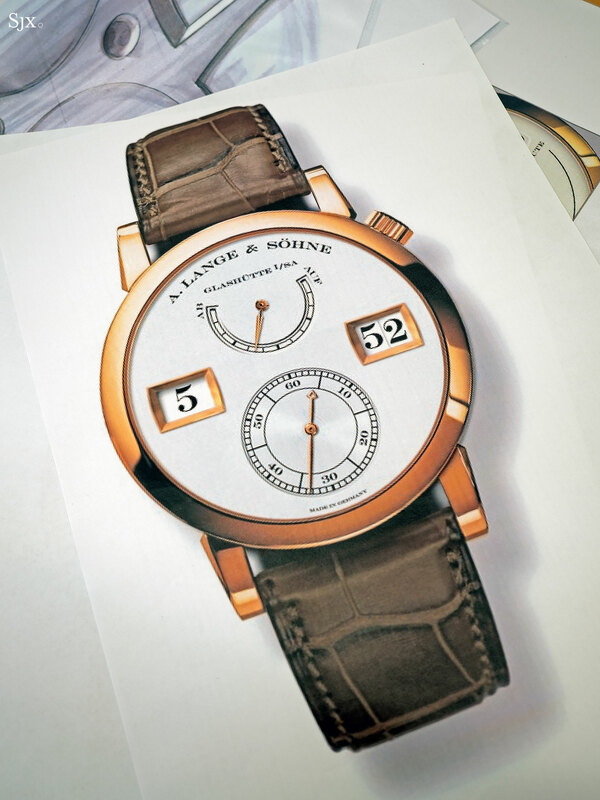 According to Mr de Haas, the decision to display the time horizontally, just as it would be read on a page, was made first, with the movement being built to accommodate the linear display. 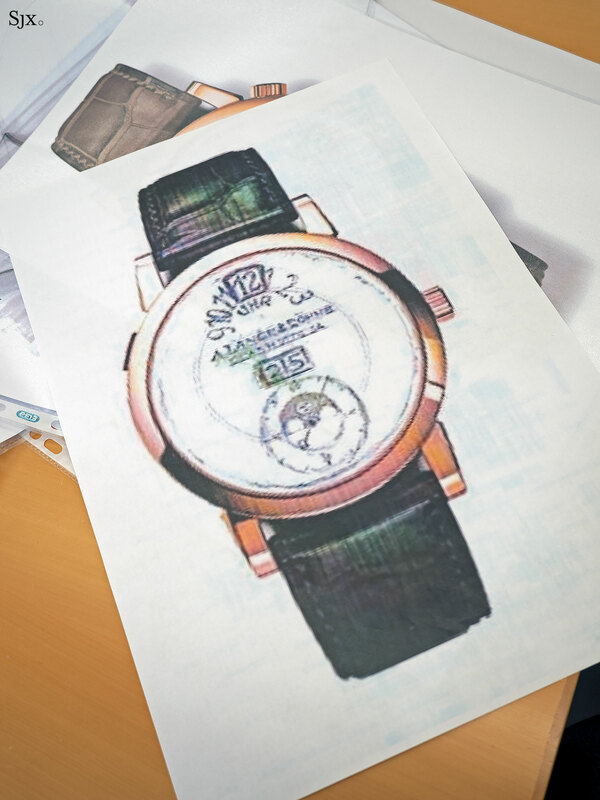 Mr de Haas also explained that during the development process, both contemporary and vintage digital display timepieces (including the IWC Pallweber) were examined, which is why some of the early design concepts for the Zeitwerk include bridges reminiscent of those on pocket watches. Beyond the complex movement – the jumping disc display is made possible via an elaborate constant force remontoir – a great deal of effort and time was spent on refining the exposed bridge on the dial. While early sketches for the Zeitwerk featured only windows, the decision was quickly made to include a bridge of some sort. Many iterations were tried and discarded – Mr de Haas emphasises the bridge design was a lengthy process – before the distinctive wing-shaped bridge was settled on. 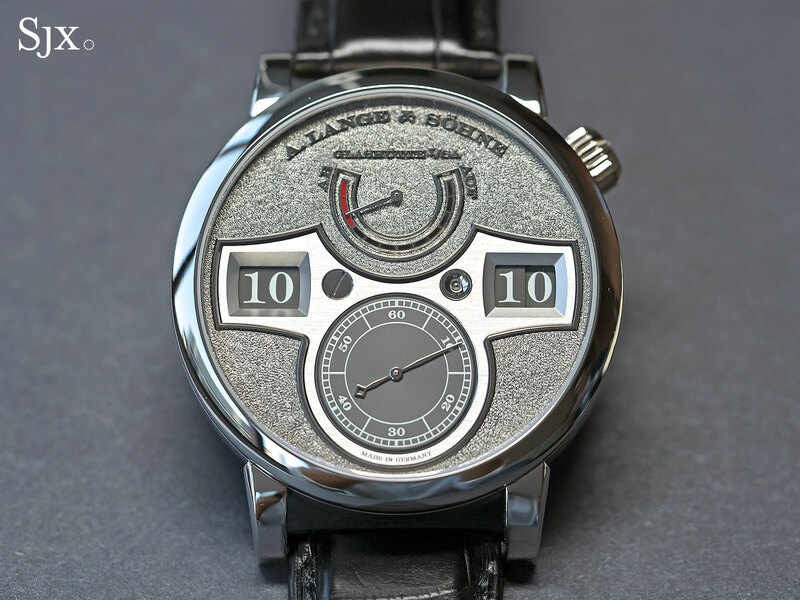 Almost a decade after Mr Blümlein thought of a digital Lange wristwatch, in May 2009, Lange unveiled the Zeitwerk in Berlin.